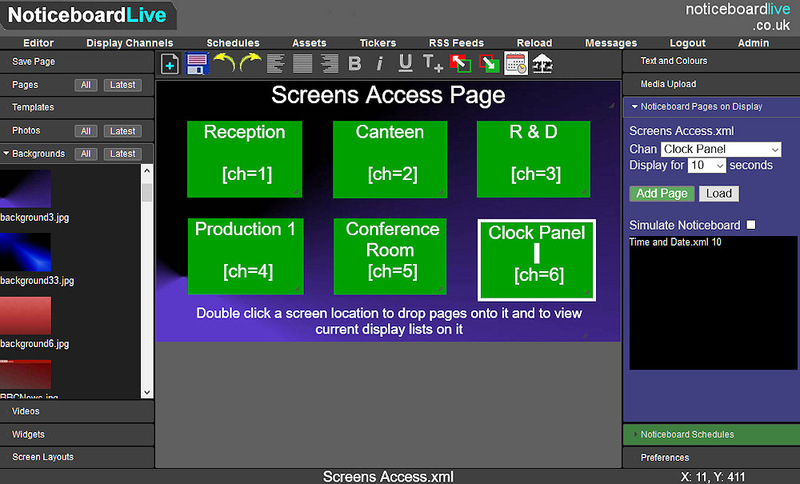 We have created a way that allows you to create special digital signage control interfaces directly in the page editor. The special pages can be saved and loaded into the editor any time you like. At the moment they are limited to dropping display pages onto screens or into zones. All you need to do is create a page with a special text tag in it. In this case to associate a block of text with a display channel put the following text into it. x is the display channel that the text box is associated with, so replace it with a number, i.e [ch=2] to associate it with channel 2. You can add other text into the text box to give it more meaning, and you can add as many different text ch text boxes into the editor as you want. Only use one [ch=x] in each box though as shown in the image below. The font size doesn’t matter so change it to a smaller one if you have a lot of boxes. When you select the box by double clicking it, the blue playlist section in the bottom right of the editor will open to show you the pages in the associated ch= channel. 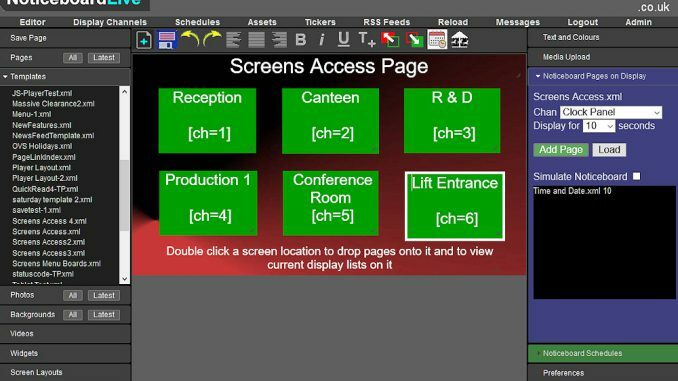 You can then drag and drop pages from the list of display pages on the system into the selected box in the editor. The playlist in the bottom right will update to show the new added pages. The Display Channels tab in the main menu gives you finer control over the list of pages such as being able to remove them. 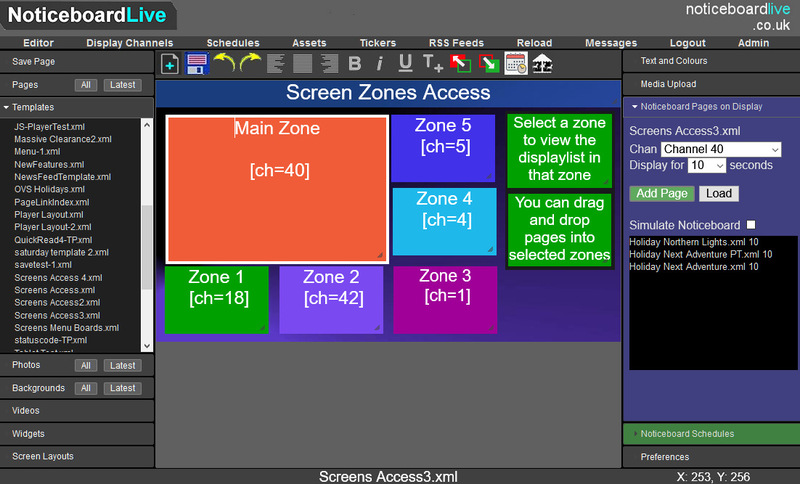 If you have your signage player configured for showing multiple zones you could create a control page that looks like the zone layout on the signage screen and then drop pages directly into the zones like in the image below. This assumes that if you have more than one screen they are configured for the same layout and to show the same channels. If not, you can create different control pages for each screen.